Courtesy of Coldwell Banker Residential Brokerage – Boston – Back Bay, Jonathan Radford. 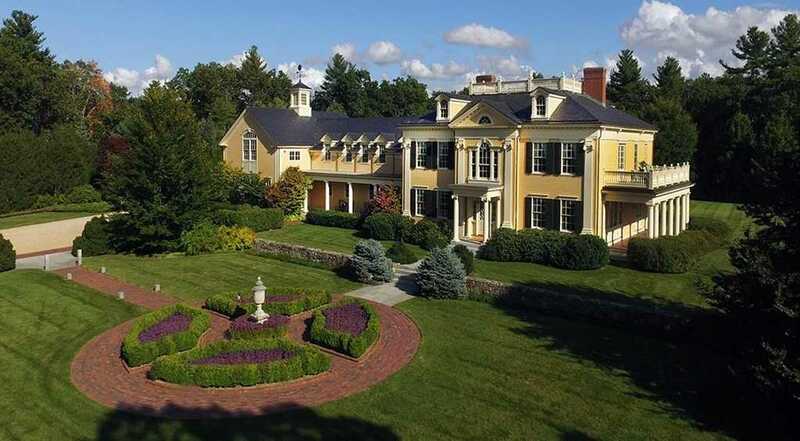 Inspired by the design of the Pierce House in Lincoln and the Longfellow House in Cambridge, this Georgian Revival architectural masterpiece is sited on 23.5 acres less than 3 miles from the center of Concord. Around the residence, acres of level manicured gardens feature specimen plantings, lawns, a waterfall and koi pond, granite terraces, and walkways of stone and antique bricks salvaged from Boston streets. A striking feature is the sunken European-style garden with its central swimming pool designed to resemble a reflecting pond with fountain. Surrounding these formal gardens are acres of private woodlands with trails for walking, riding, snow shoeing, cross-country skiing and access to Bateman 8217;s Pond. These private acres abut hundreds of acres of conservation land and provide tranquility rarely found so close to Boston. Constructed by master craftsmen, using only the finest materials, the house fully integrates smart-house technology and is in new construction condition.